Now that the daffodils are almost over it is time to rejuvenate your lawn after the wettest winter on record. The moss this year will need a lot of treatment, firstly with the use of a moss killer such as lawn sand, followed up by scarifying with a good scarifier such as the Viking LB540. Remember the moss and thatch you remove must not be used as compost for your garden if you have used chemicals on your lawn. Is your lawn mower ready for a seasons work or should you be thinking of upgrading? The modern engines are now very easy to start with the rope or you can use the effortless key start. If you love to see stripes on your lawn and do not want to have a cylinder mower then you should have a good quality rotary mower with a rear roller such as a Hayter or a Viking, These mowers will give you a good close cut and stripes. If you have a lawn with a lot of edges with a ditch then a rear rollered mower allows you to cut right up to the edge as it is easy to balance the mower. We now stock the Viking iMow which is a fully automatic mulching mower that will cut your lawn all season without having to think about your grass. 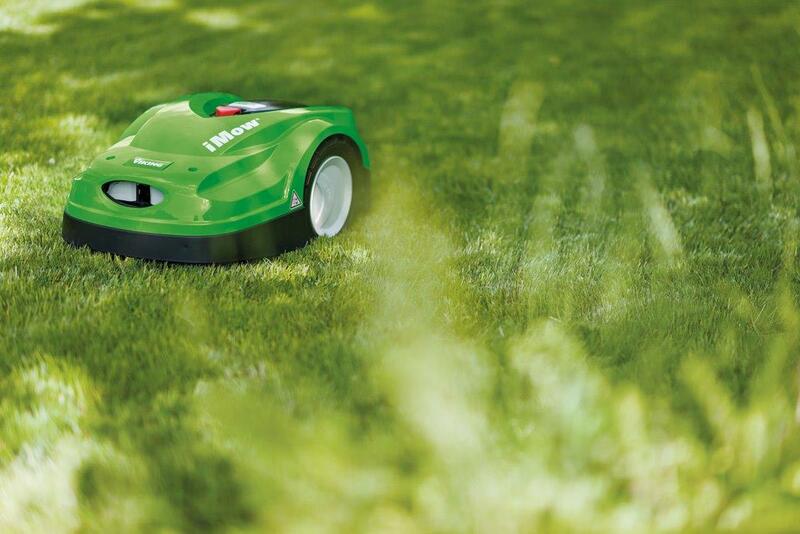 It is a very clever piece of equipment which can be programmed to cut your lawn during the week. If rains it will stop and reschedule its self to come out at another time. The small iMow which will tend up to 500 sq. meters only costs £999.00 plus an installation charge. There are 5 models in the range with the largest capable of tending 4,000 sq. meters and costing £2299.00 plus installation. If you are looking for a garden tractor then we can help you to choose the one which is most suited to your needs. Every garden is different and every gardener requires a different finish so there is lots to discuss to ensure you go home with the best mower for you. The Stihl Spring issue has a £10.00 cashback on spring essential Stihl and Viking tools, domestic and cordless machines. This promotion ends on the 31st of May so hurry in and get your cashback. Toro are offering a “Trade up to a Toro” so if you bring your old mower in (even one that does not work or a photo of your electric mower) and purchase one of the qualifying machines then you could get from £50.00 to £300.00 off your purchase. We still have a few John Deere and Sanli mowers with a massive 25% discount. You must come in and see all our Spring offers. New Year 2016 It’s time to think autumn!